This post contains Amazon and eBooktag affiliate links. This summer has been crazy busy full of fun and relaxing so I only just realized today that I have neglected to share about a super cool project I've been involved in! I published a book along with a team of other authors called Learn with Play- 150+ Activities for Year-round Fun & Learning and the book launched this week! The book is already a #1 Best Seller in STEM Education on Amazon and #2 Best Seller in Preschool & Kindergarten books! 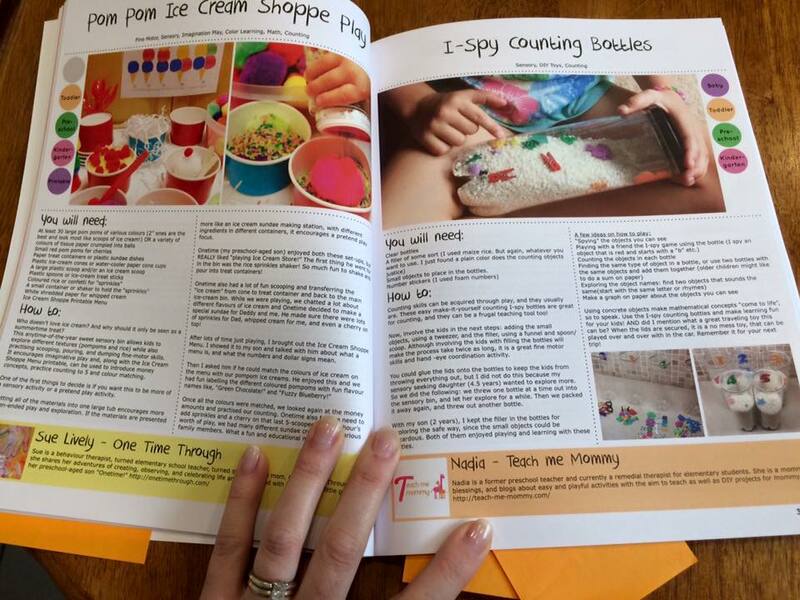 My friend Nicolette of Powerful Mothering is the brain child behind this cool project! 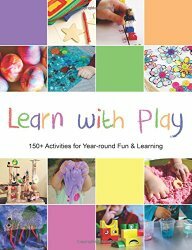 Learn with Play is packed with loads of "do-able" activities for kids using simple and inexpensive materials... 538 pages full! The book includes content from 94 incredibly creative kid bloggers and the activities span all of the seasons and the book includes ideas for year-round fun. 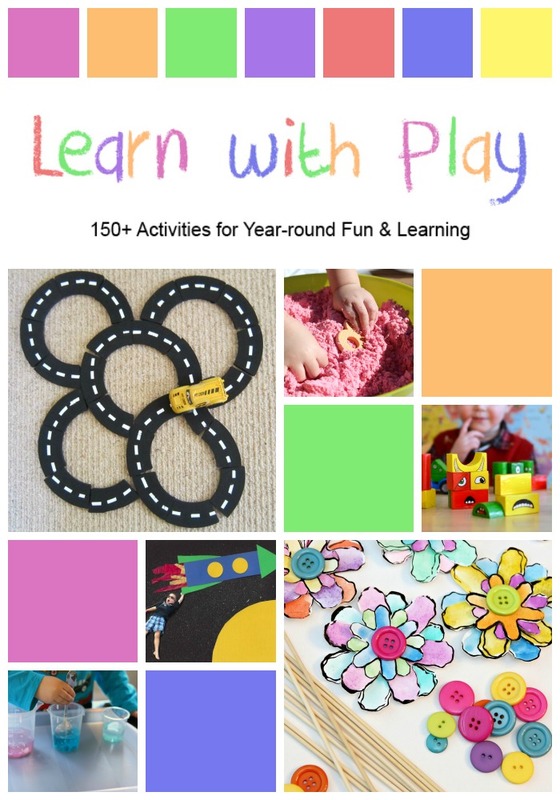 Learn with Play includes activities for babies, toddlers, preschoolers, and kindergarteners. 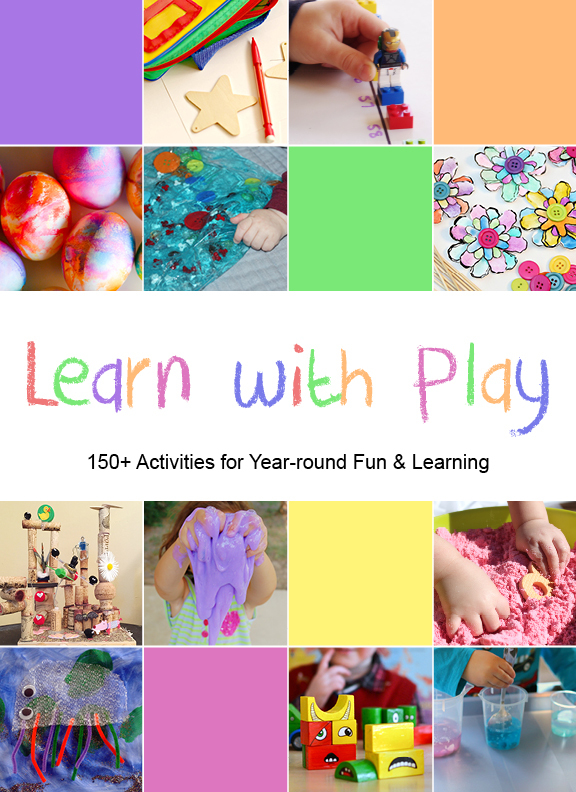 The book is organized into sections that include... general/anytime activities, holiday activities, early childhood education, life skills, and organization of play and learning areas for kids. You can buy the book in three different formats- Print book, Kindle Book, or eBook. The book makes a great reference to keep on hand on your device or to stick in your kitchen somewhere (if you buy the print book) so that you can pull it out quickly anytime you need something to do. I love how this book makes being a creative and fun mom super easy. You don't have to spend hours scouring Pinterest or Facebook... you have over 150 activities right at your fingertips. Here's a little sneak peek into the book. 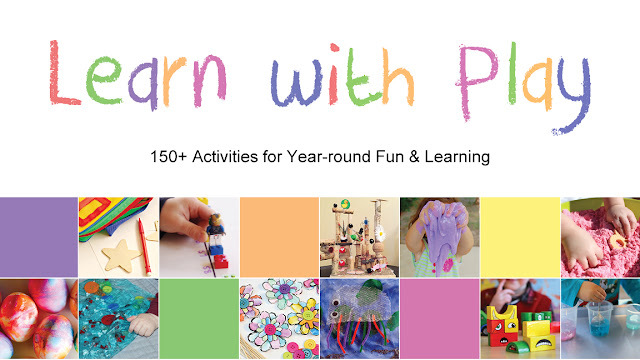 I love the little circles on the sides of the pages that let you know what ages each activity is appropriate for. 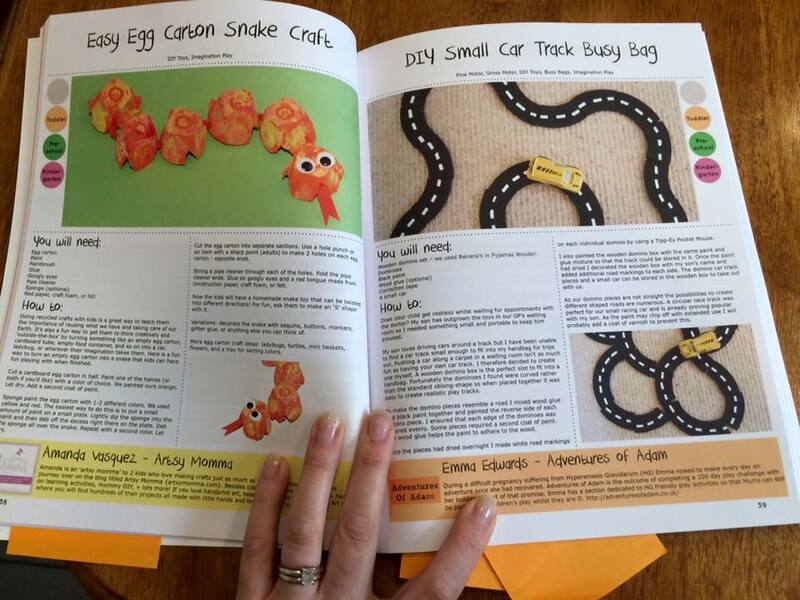 It makes it so simple to just glance through and find ideas for the ages of kids that you have. 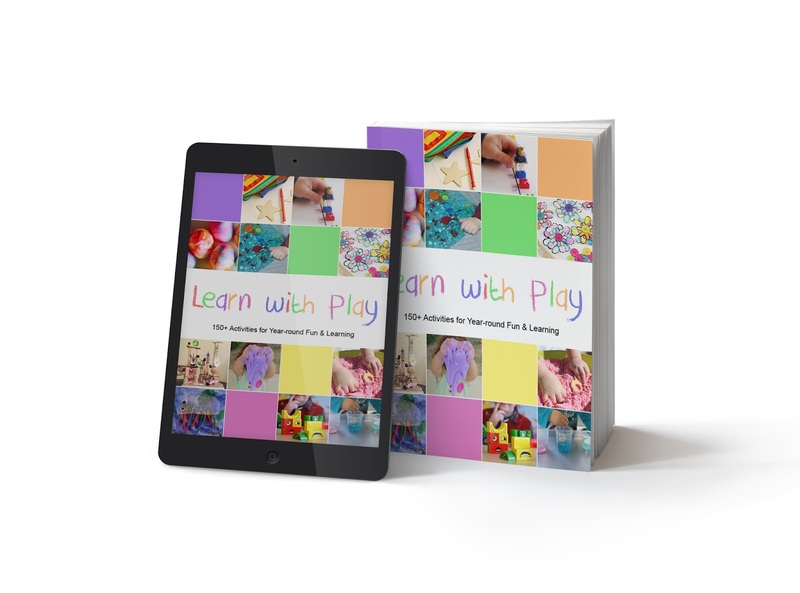 We are offering the Learn with Play eBook PDF at a special rate of $9.95 just until July 15th. You can buy that HERE. Can I buy the book if I don't live in the United States? Yes, the books are available internationally, though shipping may cost more if you buy a print book and the locations the print book is sent to is more limited. The eBook and Kindle books however are sent to your device so they can be sent anywhere. What is the difference between an eBook PDF and a Kindle book? An eBook PDF is a printable version of a book while a Kindle book is set to be read on some sort of Reader device. The Kindle adjusts how the book is viewed based on the screen by the eBook PDF is permanently set to be printer friendly. Can my child do these activities if he is older than kindergarten age? Yes, many of these activities can easily be adapted or expanded upon for older kids. If you have additional questions, feel free to comment on this post or email me at toddlerapproved (at) gmail (dot) com. As always you can follow along on our Toddler Approved Facebook page and Pinterest boards to find more creative ideas for kids ages 0-6 each day!